A few days before New York I went out for breakfast. It wasn’t too cold, just gloomy but I was excited to chow down on yummy breakfasty foods. I did indeed have a mid morning nap after, whoops. So I have been living in my docs recently, and with black ankle socks, I am pretty much the definition of ‘man repellant’ lol. I love the whole masculine vibe even though I don’t think I look masculine at all. Have a good day peeps. This outfit is me! I love it i feel the same way i have a very tomboyish/ edgy chic vibe to my wardrobe.. leather jacket.. cotton underneath.. boyfriend jeans always.. lol.. Those jeans and jacket are amazing.. your hair looks smashing bruvvvvv. Love that bag Gracie, but oh god your hair is just looking incredible in this post! 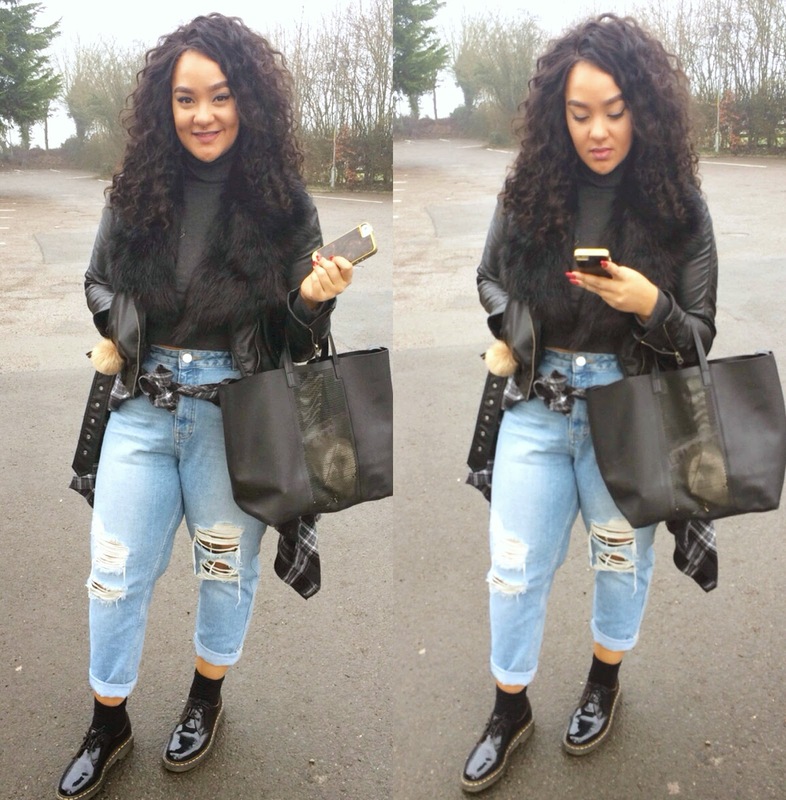 Love the jeans and the new hairstyle Gracie…..